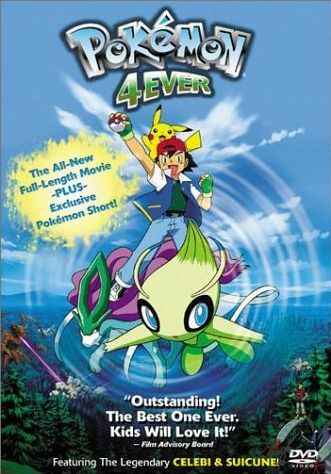 The fourth Pokemon movie tells the story of the time-traveling Pokemon known as Celebi (also known as the legendary "Voice of the Forest.") and his partner Sammy. Both of them have returned from the future after being hunted by a villain named the Iron Mask Marauder, who is a member of Team Rocket. This new foe is corrupting Pokemon with the Dark Ball, which maximizes a Pokemon's power, but also turns them evil at the same time. Ash and company meet Sam and Celebi and team up in order to put an end to Iron Mask Marauder and Team Rocket's sinister plans.